Her voice, his vision, their story. 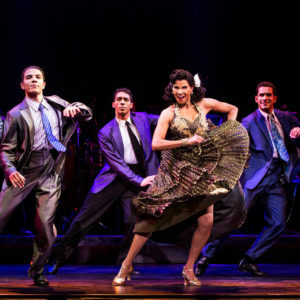 From their humble beginnings in Cuba, Emilio and Gloria Estefan came to America and broke through all barriers to become a crossover sensation at the very top of the pop music world. But just when they thought they had it all, they almost lost everything. 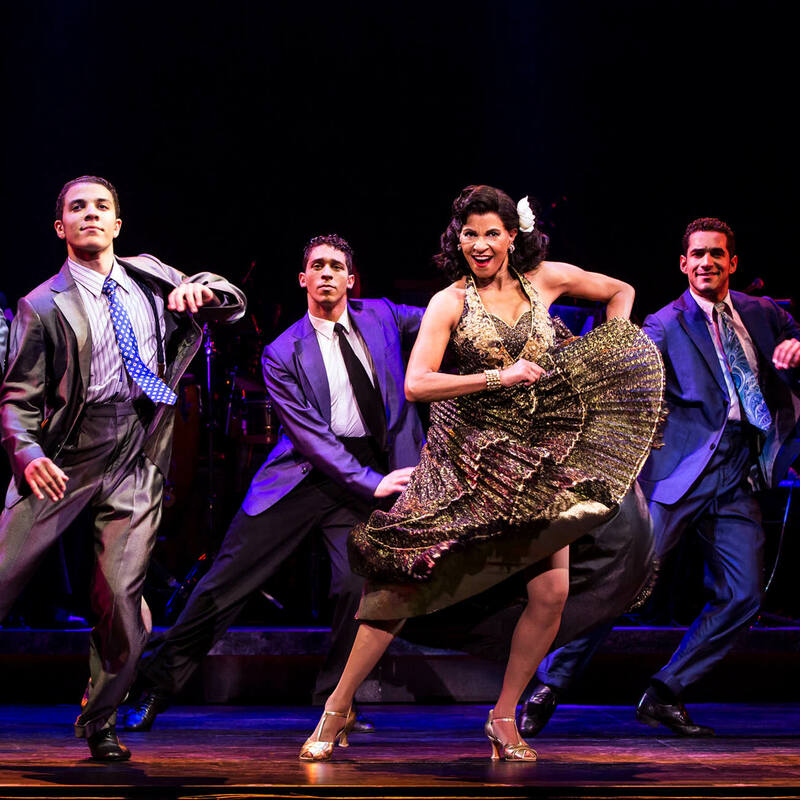 “On Your Feet!” takes you behind the music and inside the real story of Gloria and Emilio Estefan. Just 225 miles away from Cuba, Miami is host to a massive Latino immigrant population and, consequently, numerous cultures. Miami’s substantial Latino immigrant population has long been an essential part of the city’s identity. Miami was strongly shaped by the political exodus from Cuba following the 1959 revolution. The city became a Latino business hub because of the large number of Cuban exiles who migrated there. Traditional Cuban music styles like the mambo, cha cha cha and conga were all brought with Cuban immigrants to Miami, where they enjoyed new success and revitalization. Gradually, young Cuban American youths began listening to U.S. radio, as well as music by Miami-area musicians, many of whom were emigrants from other Caribbean, Central American and South American countries. Gradually, the younger generation of Cuban Americans began blending Cuban musical traditions with elements of rock, pop, disco and funk to create something new and highly danceable. By the mid-1980s, the “Miami sound,” as it was labeled, became widely popular throughout the world. Its success drew the attention of the major record labels, which set up offices in Miami to capitalize on the city’s location, and many of the biggest stars in Latin music, including Gloria Estefan and Ricky Martin, lived there. Emilio Estefan has also helped shape, develop and direct the careers of Jennifer Lopez, Ricky Martin, Marc Anthony and Shakira. When immigrants bring aspects of their native cultures to the United States, it helps to make our communities richer in a number of ways. How have immigrants helped to shape your community? Overcoming challenges pushes Gloria and Emilio Estefan to achieve their goals. Can you think of a time when overcoming an obstacle made you more determined? Music is sometimes called “the universal language.” What does that mean to you? Do you agree? 2 Responses to Education Guide: On Your Feet! Who is the young boy dancer wearing the yamaka? I can’t find any information about the cast at the Hanover Theatre of On Your Feet. How old is he? When did he start dancing? How did he get the part in this play? Hi Jackie – You can find information on cast members in your show program or online at http://onyourfeetmusical.com.